This image shows the SkyForest™ image of percent softwood basal ranging from hardwood (beige), mixed wood (yellow) to softwood (green). This data took three weeks to produce after completion of fieldwork. 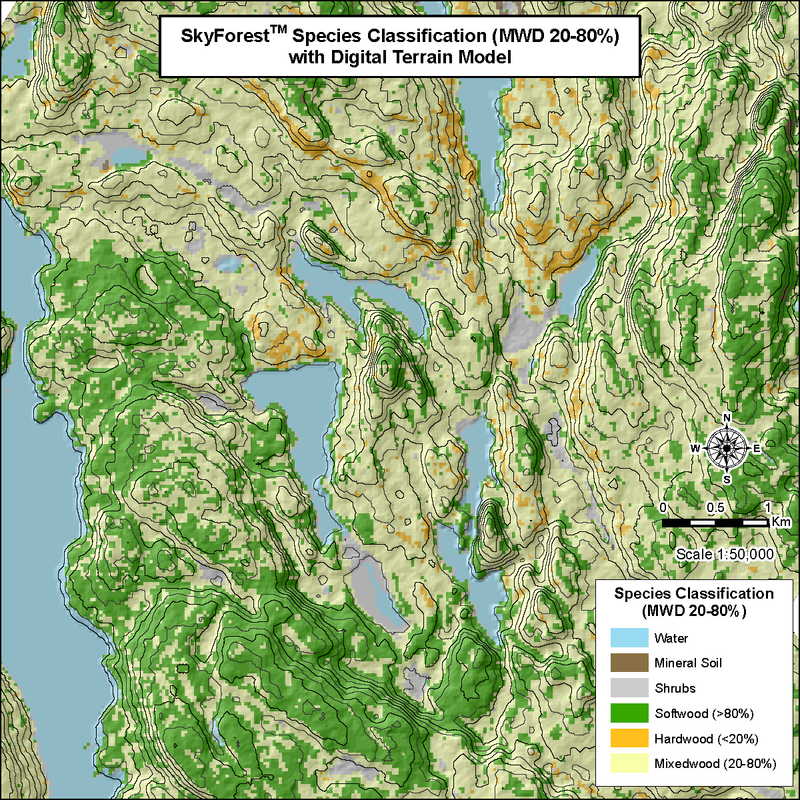 The satellite imagery used was from 2015 providing up-to-date species data on the forest. Percent softwood basal area on the White River Forest. The image below shows percent softwood basal area in 20m pixels across a 5km X 5km tile. Gray areas are non-forested. 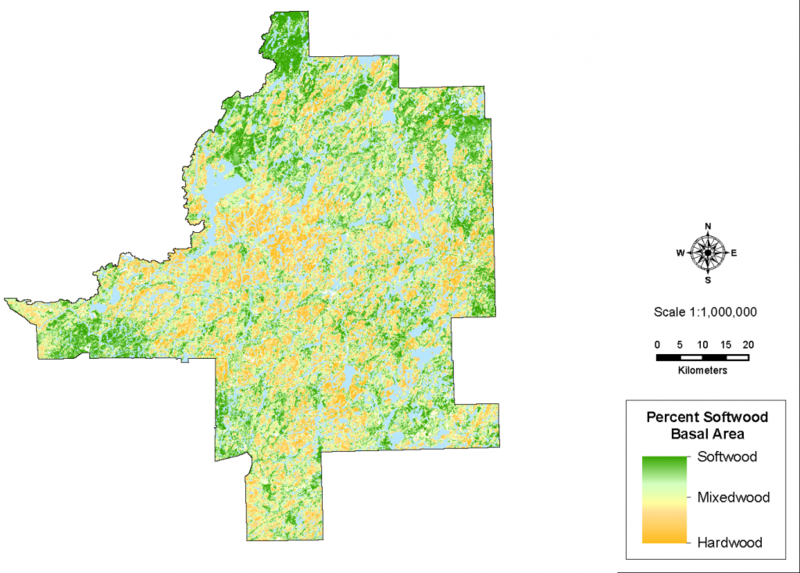 Land use classification using the following thresholds : hardwood < 20% softwood basal area, softwood > 80% softwood basal area. Mixed wood is in between.